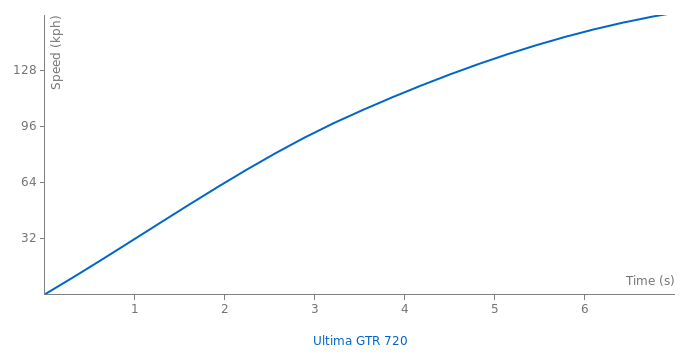 LOL, the mechanical grip is different in different track,it is around 1.3g in hocken short,and 0.86g in figure 8.The figures I took were of CGT. Your F1 car pulled 3g at 98kmph in videk you showed,so F1 cars have around 700kg at that speed.By the way nobody will actually experience 5g at 200mph because there are litrally no track which has that fast corner. The bump causing sudden change in gs doesnt explain anything because the force is not included in lateral part,it is involved in upward direction. By the way some of the group c cars had 10000lbs at 200mph,gt3 cars have around 1000kg at 125mph,so are you telling F1 cars produce lower downforce than them. Lol. You literally said that downforce has NOTHING to do with lateral grip. Do I need to quote you again? What do you mean I didn't know the mechanics grip of a car. I didn't "assume" 1.00g mechanical grip. That is just a number most sports cars make. Grip = Friction coefficient x (weight of car). You said the Mclaren F1 LM made so much downforce it would produce 4x it's weight in downforce at 200mph. It doesn't matter. A road car can't pull 5gs it can't pull 4.5gs either. Which is the whole point. Your Mclaren F1 LM does NOT make 4tons of downforce. F1 cars typically make only 2 tons of downforce at around 200mph. Common sense tells me that a road car does not have twice the downforce of an Formula 1 car. But apparently no one can convince you so. But sir/mam please do some research as to WHY this laptime wasnt added....YEARS ago. Modified or not. And no it doesnt matter if it wasnt done by TG or not. I said that your 5g had nothing to do with 5gs you told because you didn't even knew mechanical grip of the car in question. Besides you lost that argument the moment you said you didn't care about ACR figures. BR2... i wouldn't bother with this guy. He wrote a thesis saying how downforce has nothing to do with lateral grip. Yet funny now he's saying it makes cars go faster around the track. If thats so,I would like to know the reason.As far as source goes the time is from a reliable source like evo and there is an onboard video with timer in the video link. Even if the car is modified,the site allows to add modified laptimes as long as it is street legal.So I don't see the reason why it should not be added.Only reason I can think of is it was not done by TG officially,if thats the reason then Laferreri laptime also should be removed. How do you know that?It is more than 5s faster than ACR at top gear track,any sources for figures or proof? (by downforce I mean Downforce to weight ratio).Also if you have specs for rear wing,Lift coefficient,etc we can calculate the figures. 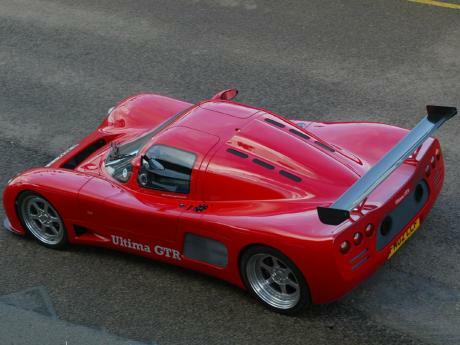 Another car which may have more downforce than ACR.By the way fastestlap of Ultima GTR at top gear track is wrong,correct fastestlap is 1:09.9 and is completely road legal. Still no production car has beaten this record. The 918 probably had a good chance, but too bad it was never aired. 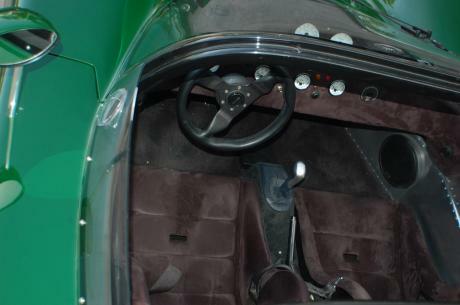 The models have upgraded suspension, brakes, tyres, suspension, gearing, chassis improvements, slight aero imorovements, at the time when these cars made headlines,500 model upto the 720 model everything was improved, it wasn't just engine power. There's also vids on youtube of the cars doing the times and the times were also excepted by guiness for 0 to 60, 0 to 100, 0 to 100 to 0, 100 to 0, And 1/4 mile at the time as the fastest times at that period. It may not have a fancy dct and launch control, but it has n incredible launch with awesome grip, big power and light weight, great driver helps too. considering a Porsche 918 does it in 9.8 @ 148mph or the P1 in 152mph. I don't see how this RWD car can do a 1/4 mile in 9.8 with ONLY 144.5mph. That would imply this car had a better launch but worst top end. and honestly, 80hp won't make a car go from 10.5 -> 9.8. Its actually 9.8@144.56Mph, That 10.5 is for the 640 Model. 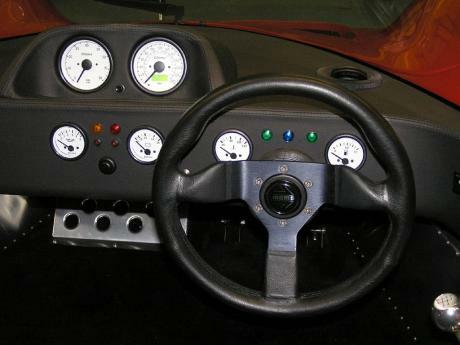 5.1s 0-100mph, 2.6s 0-60mph for the 720 Model. wow... recalling this car is Ferrari Fxx fast, and having GWRs. I just realised it did the 1/4 mile in 10.5s. Many super cars can do that now. Think this one is KAKA - don't look too good unless you like you typical English smile. 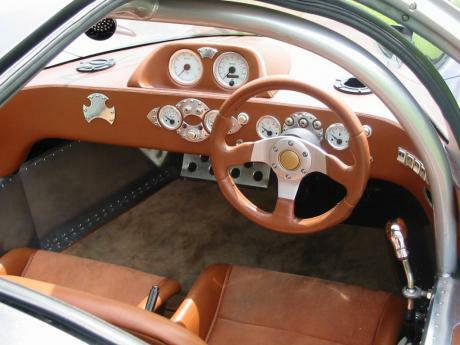 Is it a kit car? "It accelerates from 0 to 60mph in just 2.6 seconds, 0-to 100mph in 5.3 seconds and 0 to 150mph in 11.8 seconds, each of these figures have been verified by official Guinness book of world records timekeepers Datron Technology who use incorruptible GPS timing gear to record the official road car world record times." At least this one looks like a real car and not an Indy car like the 1st place car. Much better looking. I finally found what car this is, I've been searching for years now because first saw it in a racing game and they didn't say which car it was. I don't think it's any disgrace to be slower than a Caparo T1. 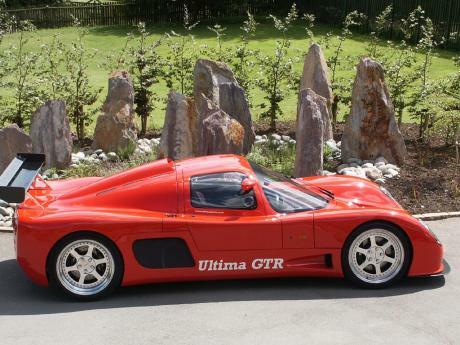 It's the fastest street-legal production track car in the world. Someone posted the 1:09.9 laptime for the Top Gear track again. It was on slicks. It should be removed.